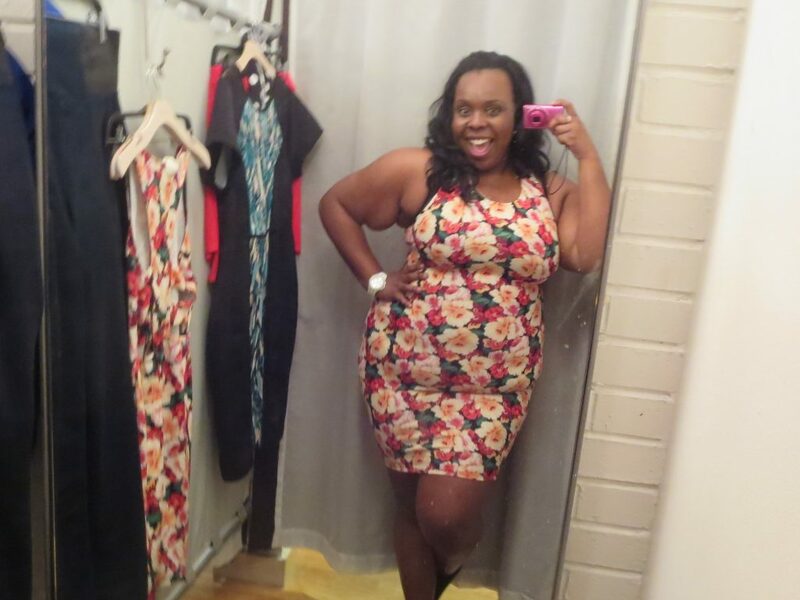 I just want to take a minute and give props to my girl, Chastity for her GarnerStyle for Rebdolls collection. 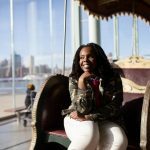 She has an amazing eye for fashion and it’s so exciting to see her ideas for plus size fashion come to life. 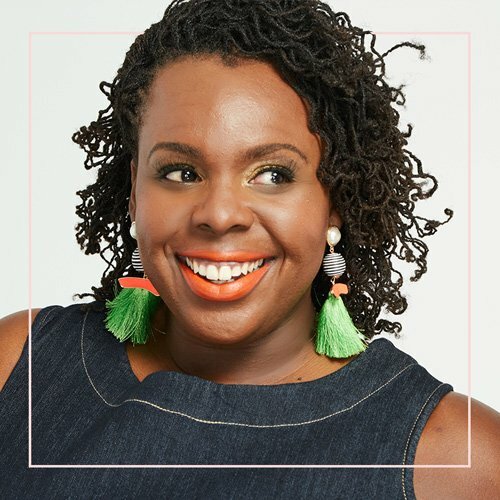 The line has a lot of sold out items, but here are a few pieces that I love and you can still find on the website. I paired my camel brown accessories with this pale pink and I felt like a chic little ice cream cone! This dress has pockets and you can also wear it simply without a belt. Chastity styled it with black accessories, but I’m all about pink and brown. 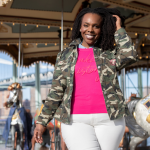 This Fall, I brought “Plus Size Model or Me?” to the blog with this post. 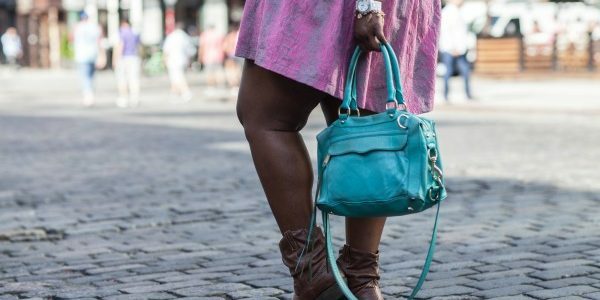 As plus size women, many of us automatically think our bodies are a hindrance to wearing certain items. 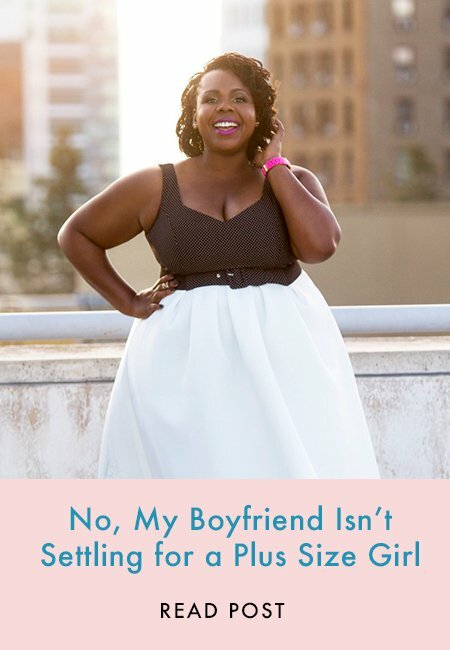 Big girls often feel they aren’t even in the same “league” as a smaller girl. 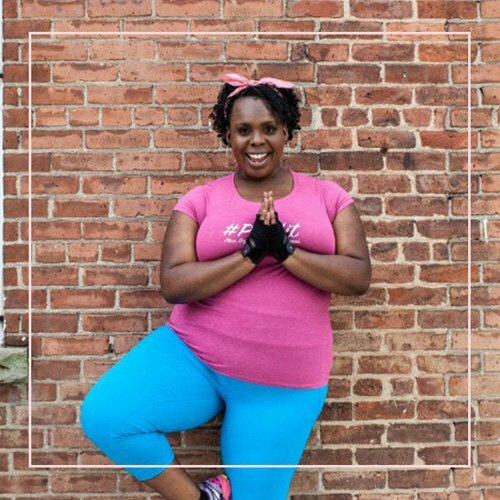 I do think there’s some body positive affirmation that comes when you can root for the fat chick. 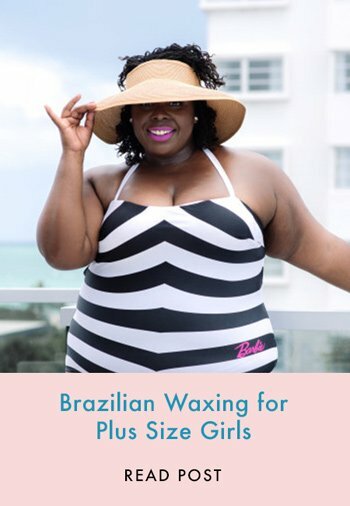 I think it’s body positive to see that items can look just as good on a big girl with lumps as it does on a model with a perfect figure. So, these posts are just my way of leveling the playing field a bit and opening our eyes that we can wear whatever we want. The main point is comparison and seeing that different can be good, not competition. 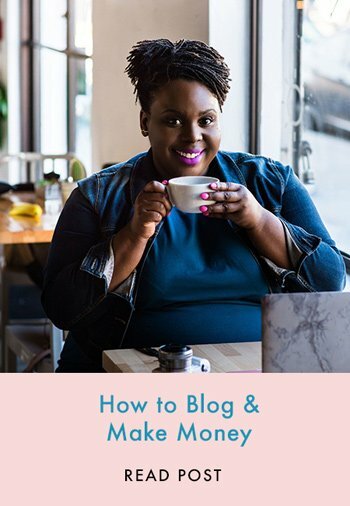 Hope that makes sense… now, on to today’s post! I’m going to show you an item on a model, I’m going to explain how I made my purchase (what size I chose, color, width, etc. ), then I’ll show the item on me and you can decide if you like it on the model… or on me. Here’s the dress on the model. The only long dresses I own are summer maxi’s, so I was really excited about this gown. 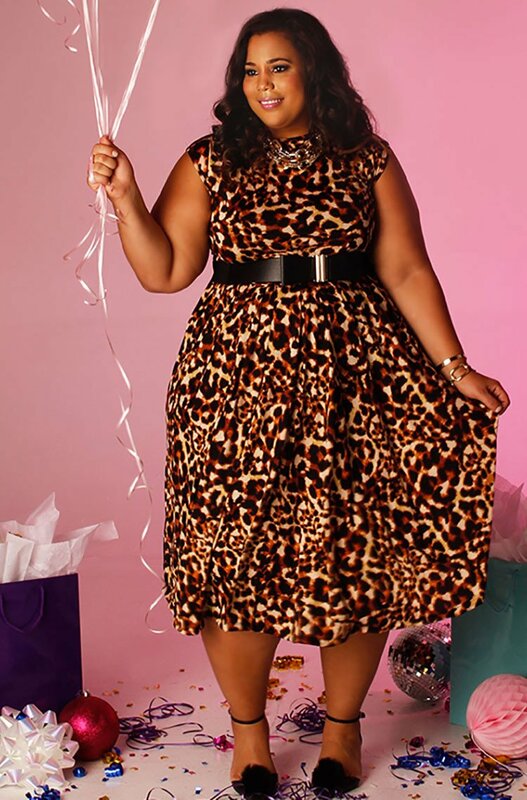 It seemed simple enough to wear for any occasion where I want to step things up and I knew with the right accessories this dress could be super glam. so that I could pull it out during any warmer months too. 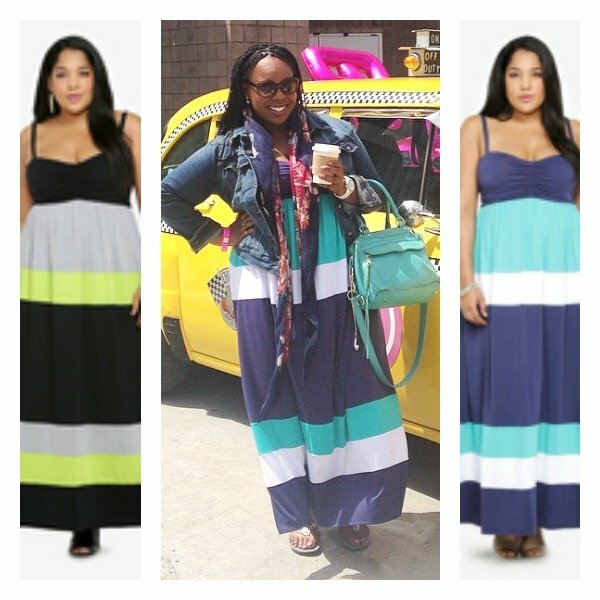 Normally, I order maxi dresses a size larger to get some extra length, but with this one I ordered the dress in my normal dress size 18, because I didn’t want it to be baggy at all, that would kill the fun of this curve hugging dress. I just crossed my fingers that it would be long enough (I’m 5’10). Here’s the dress on me. The dress was more than long enough (yay!). 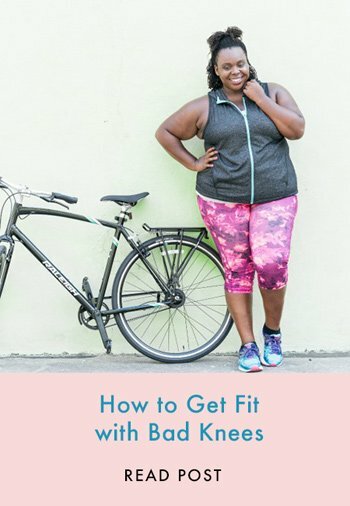 The only thing that’s a little awkward is how the fabric clings in the tummy area, but that’s nothing a little shapewear can’t fix. Styling the dress was super easy. I found a fur stole at the goodwill (yessss!) and the clutch and shoe combo is something I’ll probably use with other Little Black Dresses, its unexpected and fun. So, here it is on the model and on me. 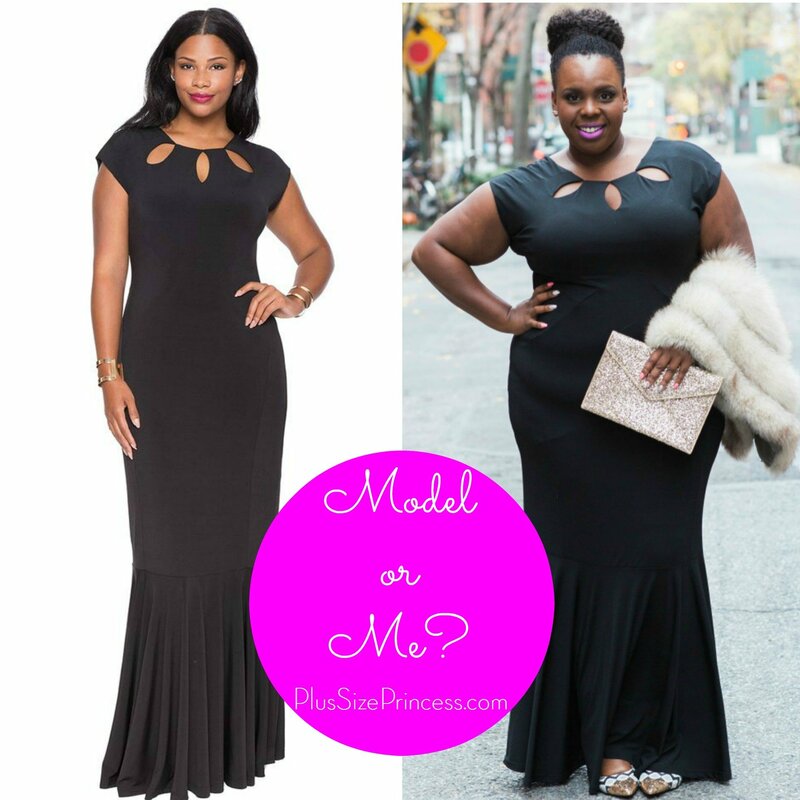 Plus Size Fashion: Do You Like it on the Model… or Me? If you’re anything like me, you have a bag full of clothes in your closet, or the trunk of your car that you meant to return, but you didn’t (because mailing things is just annoying) and suddenly the 30 day return window is long gone and now you have a collection of awesome clothes that just don’t look right on you. That’s the reason I’ve decided to bring this idea back to the blog, I’m going to show you an item on a model, I’m going to explain how I made my purchase (what size I chose, color, width, etc. ), then I’ll show the item on me and you can decide if you like it on the model… or on me. Sound Good? Okay, let’s begin! I love it because it’s got that vintage/mod feel that is so much fun! I like that the collar is detachable because I can probably mix it into other outfits which gives me more for my money. Normally I wear a size 20 in dresses, but I ordered a size 24 (I figured I could get it taken in at the tailor if it was super baggy). In the end, the dress is baggy in the back, but if stiff fabric is too clingy I start to get that “Incredible Hulk” feeling and that’s not cute. So, the sizing works for me. Anyway, between my Grandmother Rosa, Tap Dancing and #PSPfit I’ve got strong legs, so a dress like this is a good excuse to show them off before it gets too cold here in NYC. Now, it’s time for you to vote: Do you like it on the model… or me? 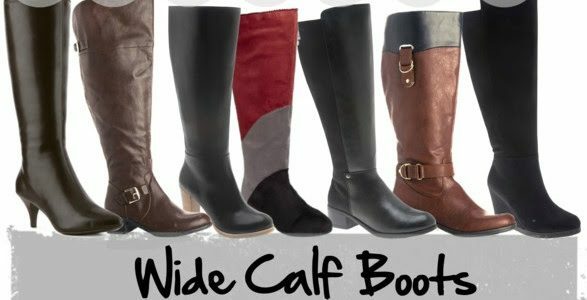 Since fall is underway, any recommendations on wide-calf riding boots? Great question! The wide calf boot hunt is definitely in full effect right now. 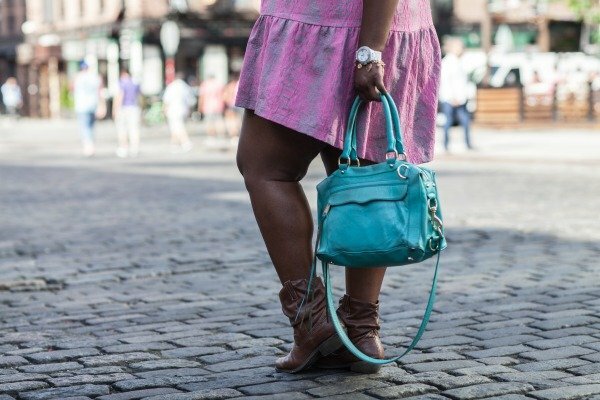 Living in New York City, my Wide Calf boots must be: Comfortable and Supportive, Fun and Fashionable, Made to last a few seasons and, of course… affordable. 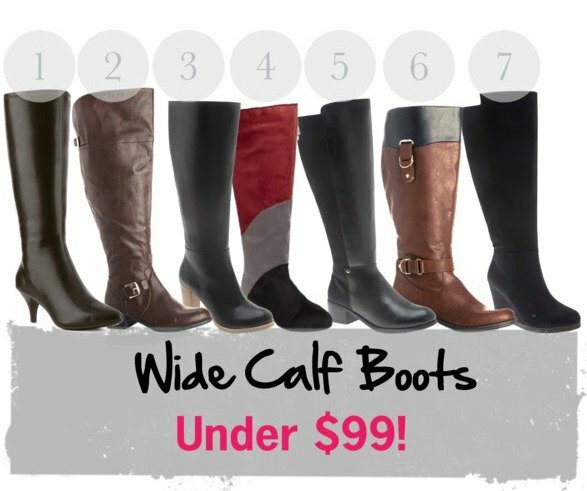 I’ve ordered three pairs of wide calf boots that I’m loving, but here are four more options from brands I trust from past purchases. Hope this helps and let me know what you end up getting! When I was a little girl, my aunts would send me the most beautiful clothes from Nigeria, where we are from. I remember loving the fabrics but feeling like the outfits weren’t necessarily styles that I could wear every day. 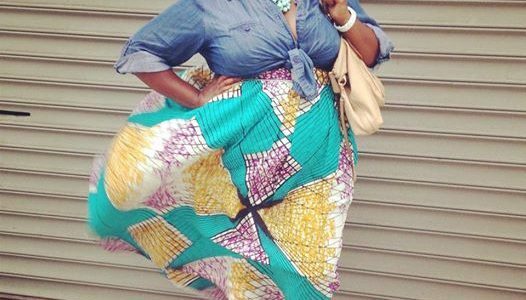 I always craved trendy clothing made from African fabrics. When I had more time, I would make Ankara pieces for myself but these days I’m too busy. 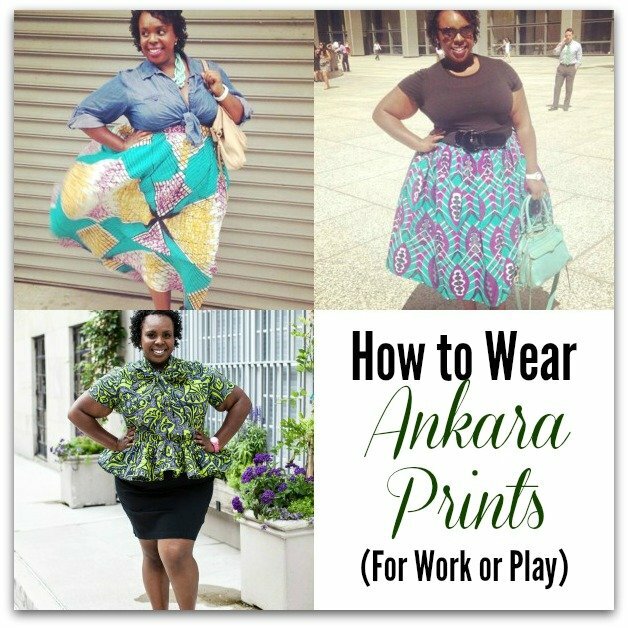 Thankfully, the internet has come to my rescue and now its pretty easy for me to purchase plus size Ankara clothing in trendy/modern styles. I’ve been mixing and matching my new African Wax/Ankara Print pieces into my wardrobe at work and on the weekends and here are some tips on how to wear African Ankara Prints anywhere! 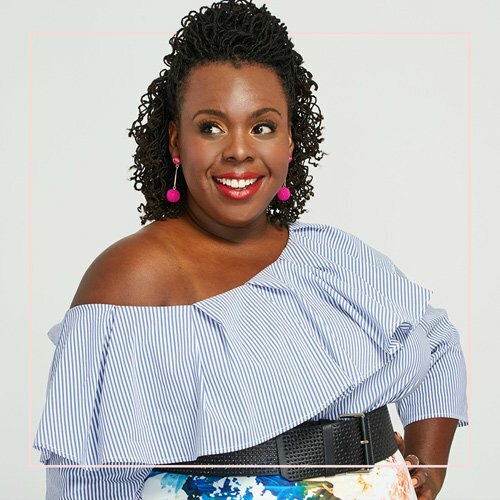 Peplum is a great silhouette for the office in any print. 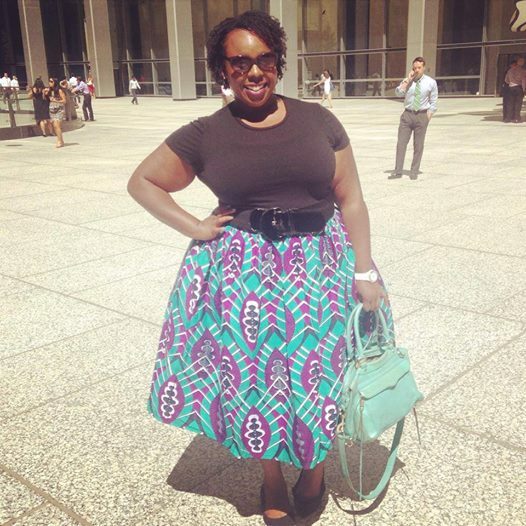 I purchased this Ankara peplum top because I knew it would work well with a simple pencil skirt. This look is chic, professional but still lets me rock my Nigerian girl style! Remember the other week when I was rocking vintage skirts and Tshirts? 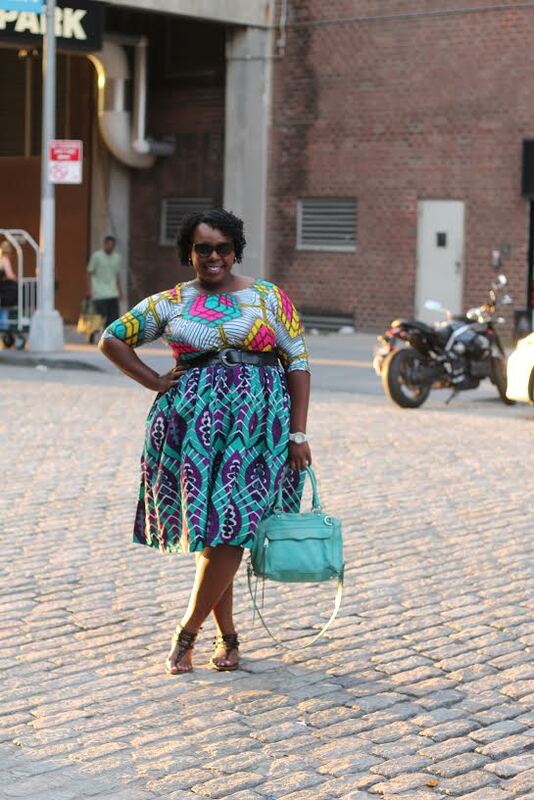 Welp, that rule easily applies with African prints. 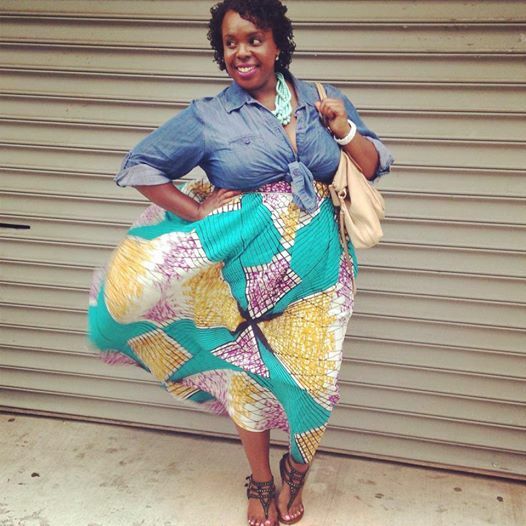 A simple black T-shirt let this tea length teal Ankara skirt speak for its self! Again, this skirt had pockets so yay!! 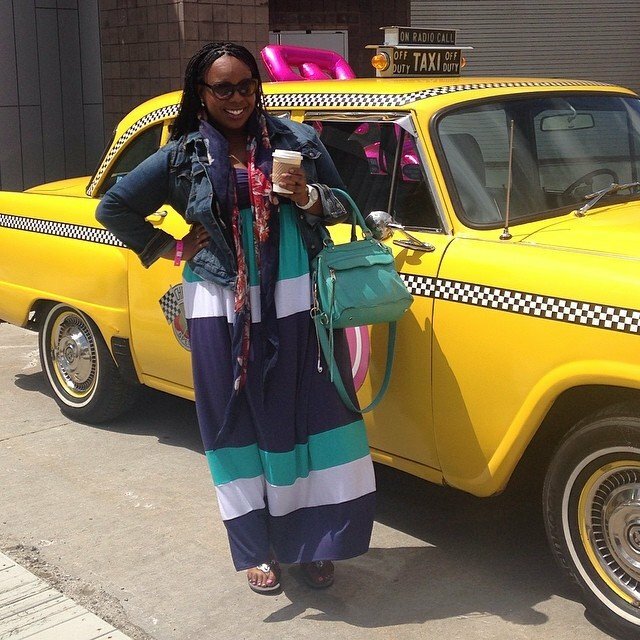 This skirt was actually part of a two piece mixed Ankara set that I ordered for under $100. I snatched up the two piece set quickly because I can tuck the top into a plain skirt too (maybe a long black maxi? or even my black tutu! ), that gives me at least three different ways to wear this set… winning! 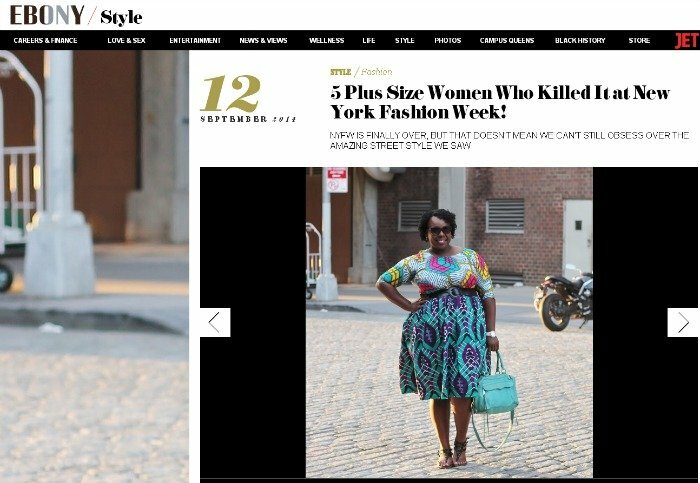 This look got me featured in Ebony‘s “5 Plus Size Women Killing it at Fashion Week” round up! Keep in mind that the pieces I ordered were hand made and most of them came from West Africa, so it took about 4 weeks for them to arrive… but it was sooo worth it!! What do you think? Are these looks that you could see yourself rocking? 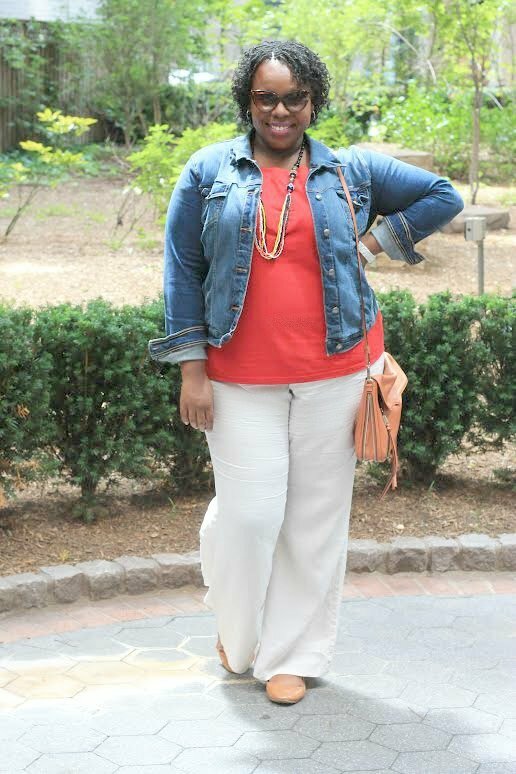 Last week my relaxed vibe had me in “Plus Size Casual Stripes & Solids“. 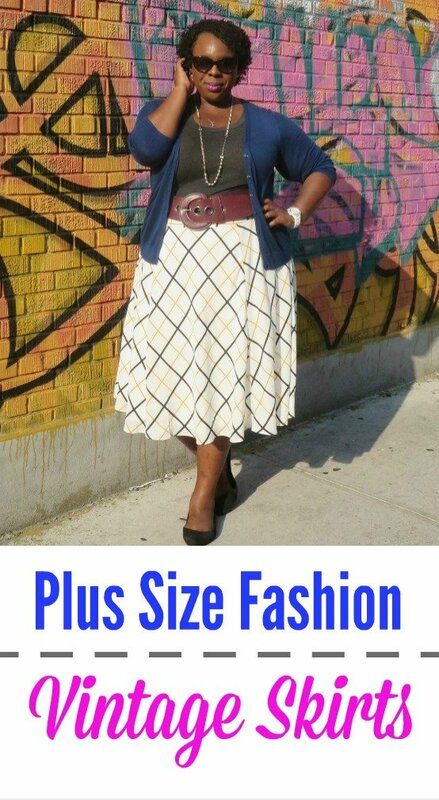 These week I’m rocking Plus Size Vintage Skirts and T-Shirts. 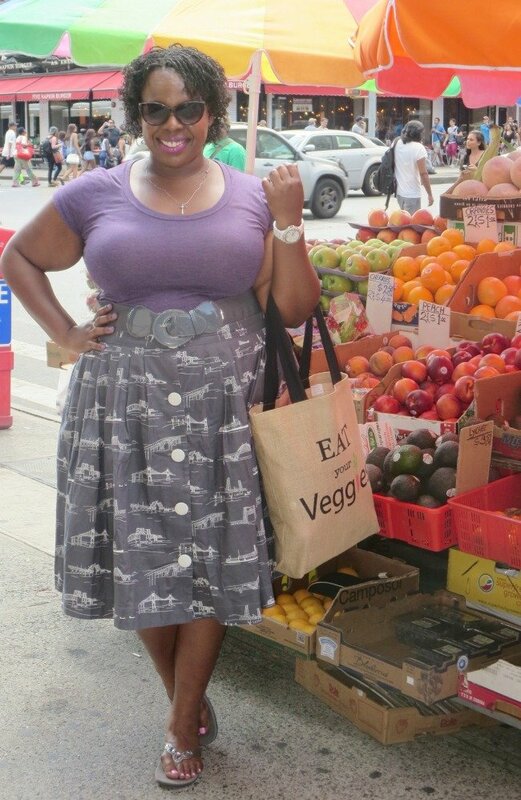 I love plus size vintage style skirts for a few reasons. They’re usually in a fun/different print that makes them a great statement piece. Also they’re long enough for me to wear a light pair of shape wear with shorts, to avoid a chub rub situation. I got both of these skirts from for under $15 in the clearance section (link below). Tip: they didn’t have my size, but since the skirts were so cheap I ordered a bigger size and tailored them down. When I saw this “Eat Your Veggies” tote, I HAD to have it… its adorable and a great #PSPfit reminder 😉 These orthodic sandals are soooo comfy without looking like granny shoes lol I got them here. 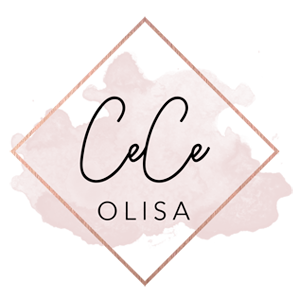 You can check out the vintage style skirts/dresses on clearance here… let me know if you order anything! The other day on my YouTube channel, I said that I never wear pants because I carry weight in my tummy. The minute I said those words, I realized that I was limiting myself. Do I prefer dresses? Sure! But not wearing pants because I’ve got a full tummy is the same as not showing my arms because they’re big… its a negative way of thinking and it goes against who I want to be as a Plus Size Princess. 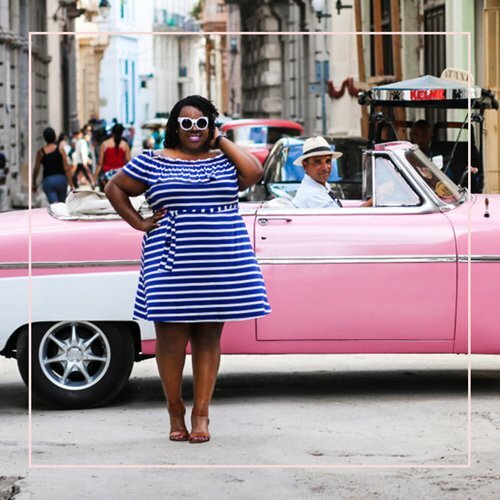 The dress giveaway with SimplyBe has been extended to Sunday. For my facebook peeps, click this link and share it to be entered! Thanks Ms. Lydia Hudgens for the photo snaps! 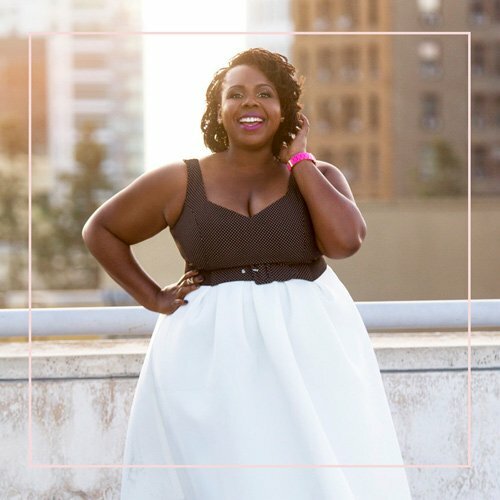 I carry my weight in my tummy, so I’m picky about my plus size peplum styles. This drop waist peplum cut doesn’t hug my lumps and feels super fresh/fun. If you’re worried about your bum showing, the back is longer than the front. More deets on how you can win this dress, here!